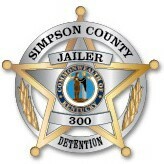 The Simpson County Detention Center has ZERO TOLERANCE for all forms of sexual abuse and sexual harassment within its jail facilities. It is the policy of the Detention Center to respond to, and administratively and/or criminally investigate all alleged incidents of a sexual nature. Every reported incident of a sexual nature will be taken seriously, investigated fully, and appropriate action will be taken as warranted, according to federal PREA standards. Anyone may report incidents of a sexual nature which occur within the jail facility. Writing to any staff member using the Inmate Request Form or Inmate Grievance process. Calling confidentially to Hope Harbour (toll free) at 800-656-4673. Filling out a PREA Reporting Form online .